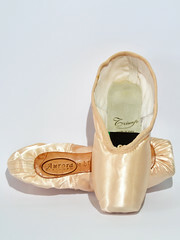 This photo of the Repetto LaBayadere pointe shoe is so lovely! 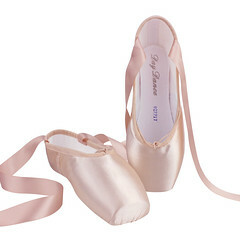 The draping of the ribbons and the soft, creamy pink color of the satin really showcase the beauty of pointe shoe design. 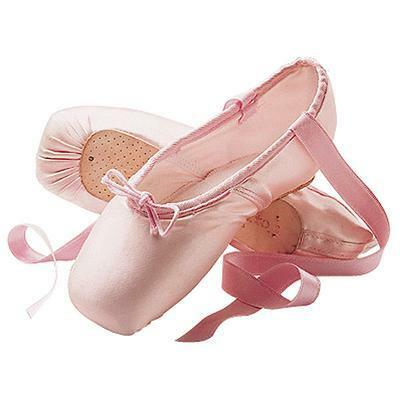 This shade of baby pink has probably been the reason for many a young girl dreaming about getting her first ballet shoes. 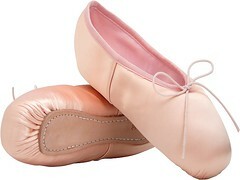 This entry was posted in Pointe Shoe Images and tagged Pointe Shoe Brands, Pointe Shoe Images, Repetto LaBayadere. Bookmark the permalink. 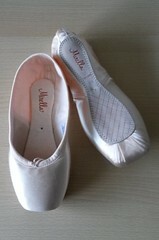 Hi Lisa, it’s Jill, she of the Kiev pointes. 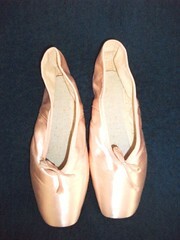 I have some information (and shoe photos) about a French Pointe shoe maker, Serna, that was absorbed by Repetto. 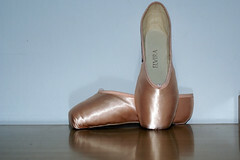 When I saw the photos of the Serna shoes I thought of you. 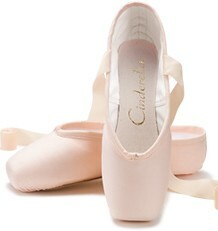 I’m sending it to the gmail address pointeshoe.net@gmail.com that you were using last October. If that’s not a good address I can be reached at the email address above. Thank you 🙂 I love the photos and will be posting soon.